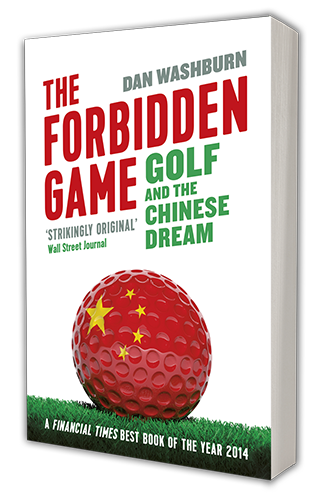 The Forbidden Game follows the lives of three men intimately involved in China’s bizarre golf scene, where new golf courses are at once banned and booming. Washburn, who lived in China from 2002 to 2011, spent more than seven years researching and writing the book described as “strikingly original” by The Wall Street Journal and “gripping” by The Economist. Book sales and signing to follow. Dan Washburn is an award-winning reporter and managing editor at the Asia Society. His writing has appeared in FT Weekend Magazine, Slate, Foreign Policy, The Atlantic, The Economist, Golf World, Golf Digest, ESPN.com, the South China Morning Post, and other publications. His work has been featured in the anthologies Unsavory Elements: Stories of Foreigners on the Loose in China and Inside the Ropes: Sportswriters Get Their Game On. Dan is also the founding editor of Shanghaiist.com, one of the most widely read English-language websites about China.